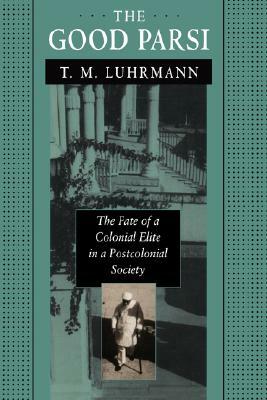 Harvard University Press, 9780674356764, 336pp. During the Raj, one group stands out as having prospered and thrived because of British rule: the Parsis. Driven out of Persia into India a thousand years ago, the Zoroastrian people adopted the manners, dress, and aspirations of their British colonizers, and their Anglophilic activities ranged from cricket to Oxford to tea. The British were fulsome in their praise of the Parsis and rewarded them with high-level financial, mercantile, and bureaucratic posts. The Parsis dominated Bombay for more than a century. But Indian independence ushered in their decline. Tanya Luhrmann vividly portrays a crisis of confidence, of self-criticism, and perpetual agonizing. This story highlights the dilemmas and paradoxes of all who danced the colonial tango. Luhrmann's analysis brings startling insights into a whole range of communal and individual identity crises and what could be called "identity politics" of this century. In a candid last chapter the author confronts another elite in crisis: an anthropology in flux, uncertain of its own authority and its relation to the colonizers.